Hiking on the mountain Mosor begins and ends in a little place called Sitno Gornje. The participants climb about 300 meters above sea level to the mountain lodge on Mosor. The lodge is located at 868 meters above sea level. The lodge provides a wonderful view of all the Dalmatian islands and the city of Split. The mountain lodge can provide lunch by agreement. 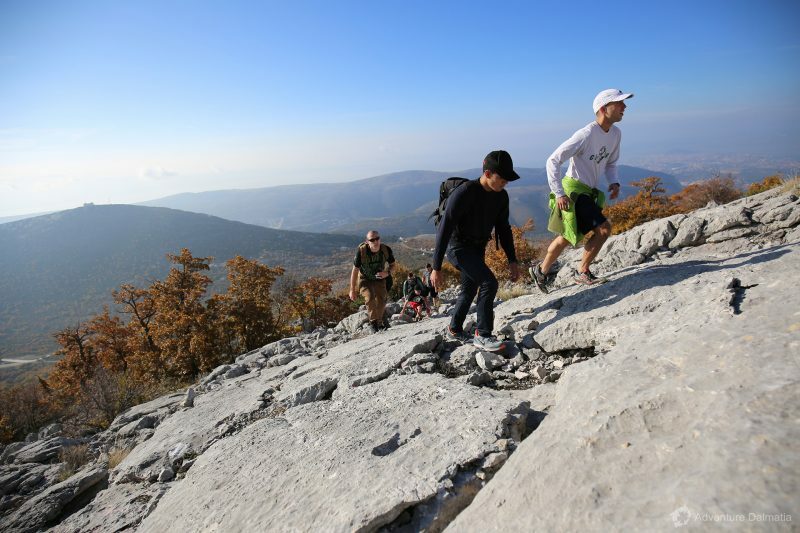 We are able to organize several hiking tours through Mosor for the physically fit and more demanding participants. Minimum age is 8 years. Availability: Every day during whole year.